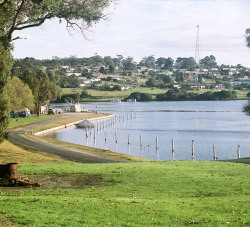 The Minister for Agriculture declared the Mallacoota Inlet Fisheries Reserve (MIFR) Management Plan on 21 September 2006. The MIFR was established to provide for enhanced recreational fishing opportunities and to improve the management and monitoring of these opportunities. The Fisheries Act 1995 requires a management plan to be prepared as soon as possible after the declaration of a fisheries reserve. Processes for participating in management of other relevant non-fishing activities in and around the inlet. Fisheries Victoria prepared the MIFR Management Plan with the assistance of a stakeholder steering committee. The steering committee included an independent chair and representatives from VRFish, Fisheries Co-management Council, East Gippsland Shire Council, Parks Victoria, East Gippsland Catchment Management Authority and Indigenous interests.